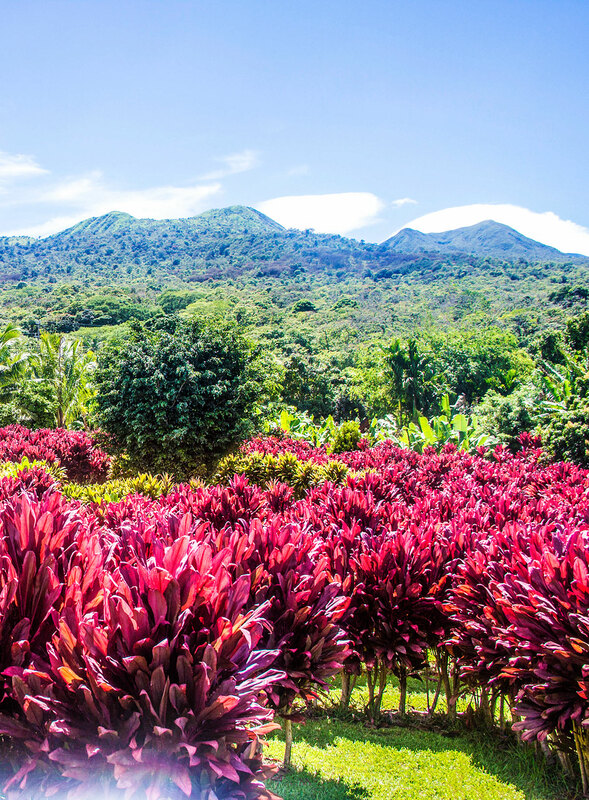 I never thought it would be possible to – all in the space of one day – hike through a bamboo forest, swim under a waterfall, wander through a lava tube, eat a picnic lunch in a botanical garden, and lay out on a red sand beach. But then I did the Road to Hana in Maui. And I learned it’s possible to do all this (plus eat homemade banana bread and coconut ice cream along the way!) and make it back to your hotel in time to watch the sunset over the ocean! 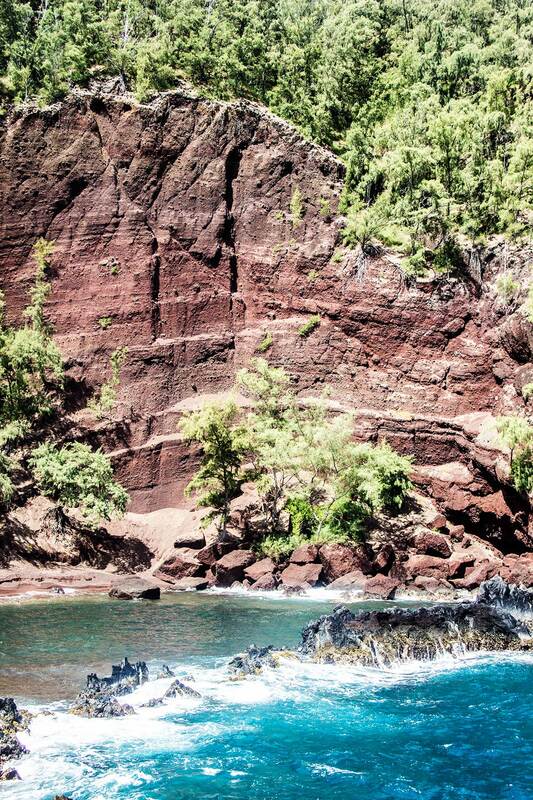 Maui is just that varied and spectacular of an island. 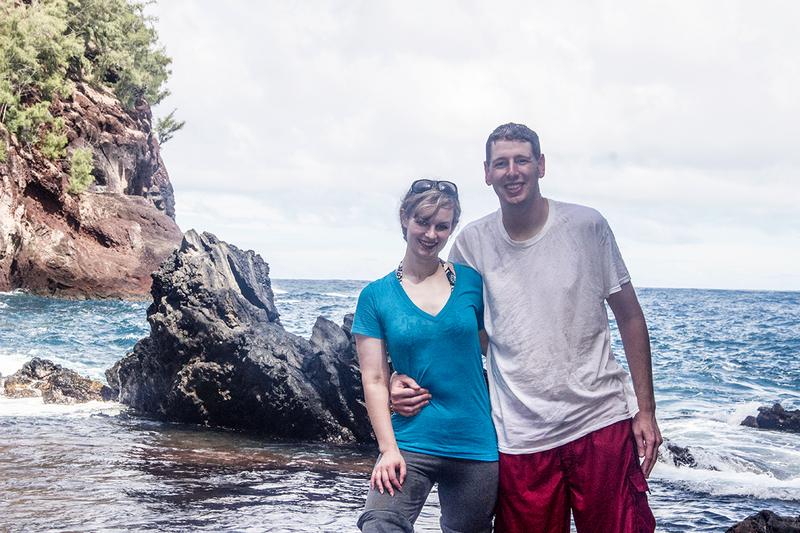 I can’t believe I ever had doubts about whether Chris and I should do the Road to Hana. It was definitely one of our most memorable days of our entire trip to Hawaii. One of the first major sites we saw along our Road to Hana tour (aside from a vivid rainbow over the ocean!) 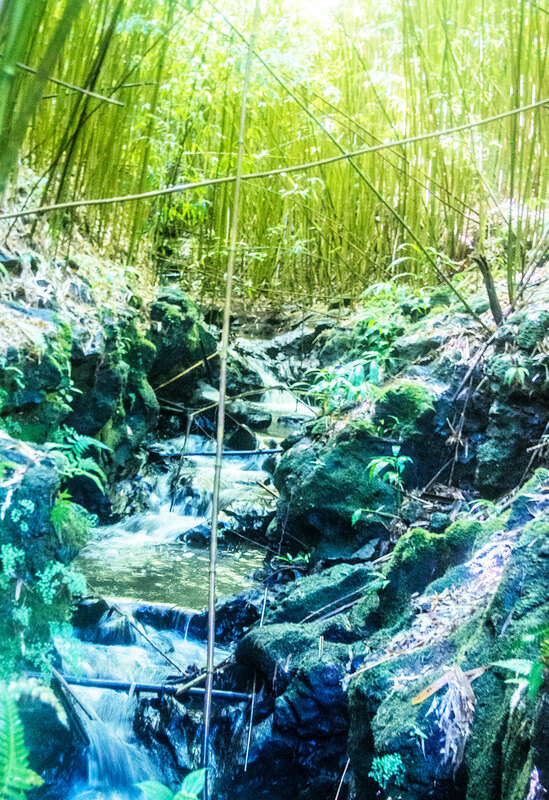 was the Bamboo Forest. There are lots of trails to hike, and it’s worth spending some time here. We spent about half an hour wandering through the bamboo. The bamboo was very dense, so we were mostly in shade. And it towered far, far above our heads. 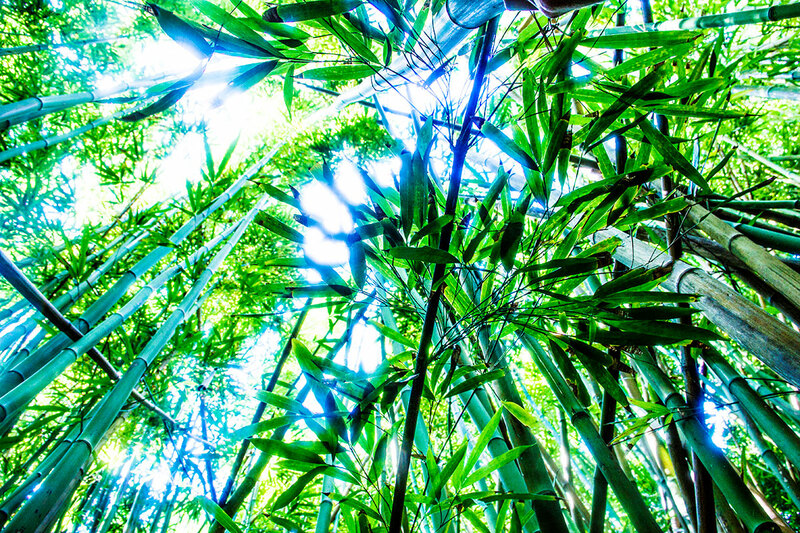 The bamboo was surely 35-40 feet tall. There were beautiful waterfalls – some trickling and some gushing from about 20 feet above – all along the way. Another fascinating site along the Road to Hana: the taro fields. We were able to view these fields from several stops along Hana Highway. And they were beautiful: lush green fields stretching along the calm, endless blue ocean. Our guide told us that taro root is a sacred staple crop of Hawaii. We were able to taste taro root mashed, with chips. It was white in color, thick and rich, with a creamy texture, and a slightly sweet flavor. There were a lot of options for viewing waterfalls along the Road to Hana. 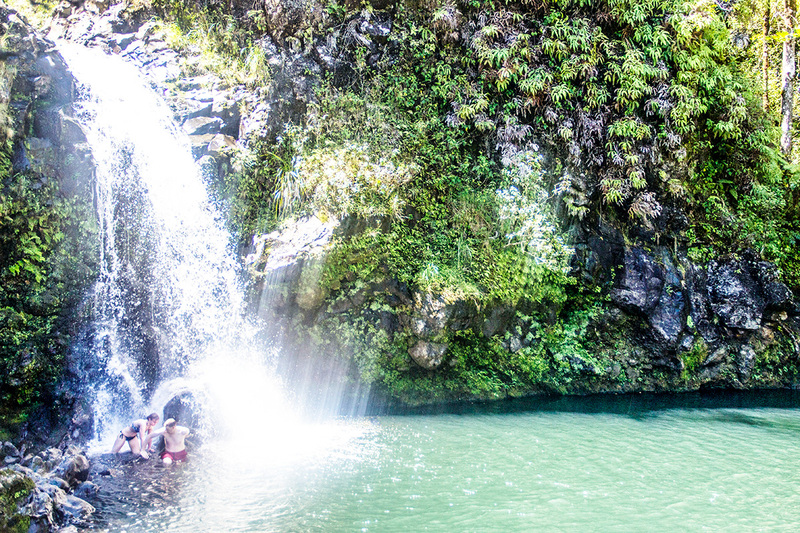 Our most memorable one was a secluded waterfall that we were able to swim under. We were the only people there! We never would have found this waterfall on our own, which is why I’m so glad we did the Road to Hana with a tour guide. But this was my first time swimming under a waterfall, so here’s what it was like: Even though this waterfall doesn’t look enormous in the photo, it was extremely powerful. The roar of water gushing was very loud, and it stung my skin when I got close. And, although it was a very hot day, the water was extremely cold! This peninsula was so beautiful, with vivid blue waves crashing dramatically along a black rocky coastline. We had fun stopping to check it out and take some photos. This was also the spot where we found the most delicious banana bread: Aunty Sandy’s sells amazing banana bread, along with fresh fruit and sandwiches. Another site that was really interesting along the Road to Hana: lava tubes! “Hana Lava Tube” was a tourist destination where we purchased tickets and got flashlights to go down into the cave. 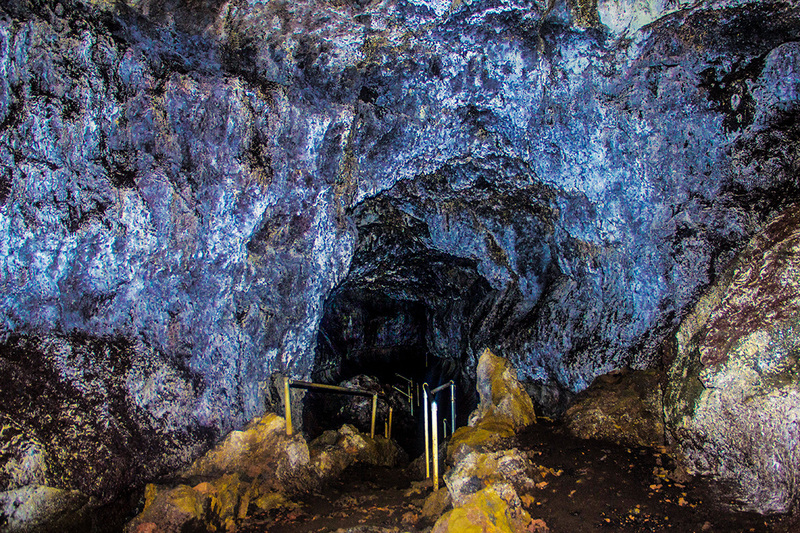 If you’ve seen a lava tube before, this particular stop may not be interesting. But since it was our first time, we really liked having the experience. Plus, it was dark and cool in the lava tube, so we loved the break from all the heat and humidity! Down in the cave, there were signs along the paved path with lots of interesting information about the lava tubes. But my favorite part of this stop was actually the Red Ti Botanical Garden Maze. There was a covered picnic table here, so we were able to stop and have a picnic lunch that our tour guide had prepared. The views were so beautiful, overlooking the lush gardens and the mountains beyond. The flowers of Hawaii were the most spectacular I’d ever seen – they were enormous and so vividly colored. But it wasn’t just the flowers that were really unique. 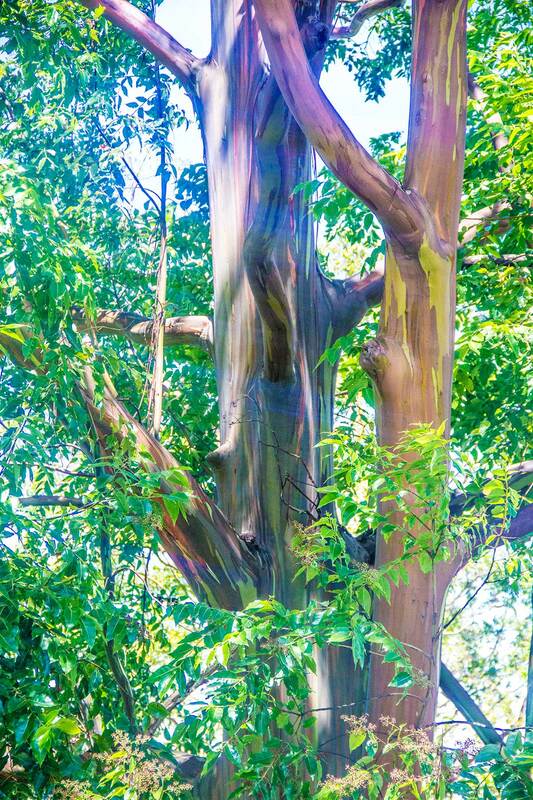 The Rainbow Eucalyptus trees along the Road to Hana were really something to see, and their name is very fitting. The trunks looked like they had been splattered, all up and down, with paint in a variety of bright colors. They were so dreamlike and unreal, they looked manmade! The sand, by the way, was a beautiful shade of deep grayish-red. There were towering cliffs along three sides of the beach, all with the same red tint. And the ocean was a vivid, deep blue with waves that crashed onto the rocky shore. Chris went diving into the waves while I relaxed and snapped some photos. It was the perfect way to end our trip on Hana Highway! We really wanted to get back to our hotel in time for sunset on the beach, so once we arrived in Hana, we turned right around and drove back without making any stops. Aside from one: Coconut Glen’s. This was a vegan ice cream stand with a variety of ice cream flavors, all made with coconut cream. We sampled a few flavors (just the basic coconut flavor was the best, in my opinion). The ice cream was rich and thick, and definitely had that distinctive sweet, fruity, coconut undertone! It was the perfect stop to relax and have a quick snack after a full day! How Much Time Should I Plan to Spend? 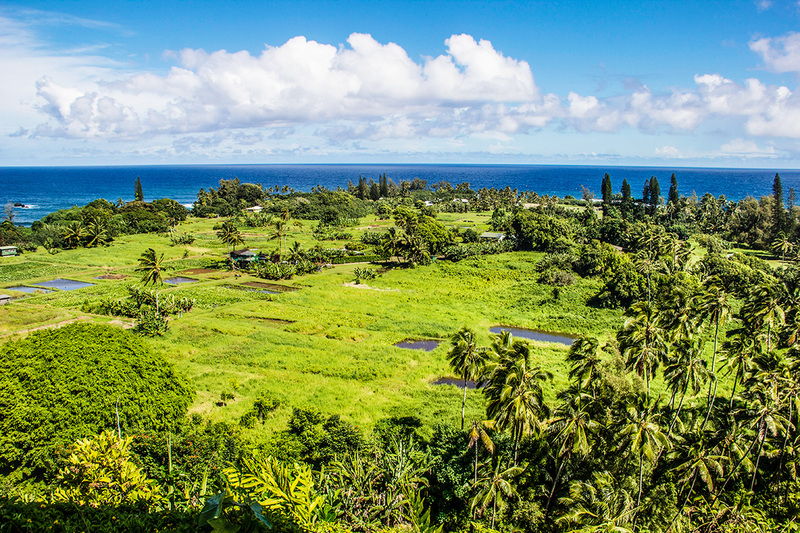 You should plan a full day for driving the Road to Hana. The entire route is about 65 miles long. We left early in the morning, at about 7am, and returned by about 6:30pm. And we were only back that early because I fell in love with the beach sunset at our hotel, and I wanted to get back in time to see it. It seemed like a really smart decision to leave really early in the morning too. We seemed to stay ahead of the crowds. And we never felt like we needed to rush through any spots we happened to love along the way. Should I Pay For A Tour of the Road to Hana? Chris and I took forever to make our decision. We don’t typically do tours, because we prefer being spontaneous and doing things are own way. But we ended up going with a tour and we were so glad we did! After experiencing the Road to Hana, I’d definitely recommend doing a tour. Mainly because the roads require very careful concentration. And, whoever drives won’t really get a chance to take in the breathtaking rainforest and ocean scenery along the way. Plus, the tour guides are locals who know everything, so you won’t waste time getting lost or miss out on amazing sites! Our guide led the way through the bamboo forest for us and she knew how to get to a secluded waterfall that was safe for swimming. She pointed out the Rainbow Eucalyptus for us (I’m not sure we would have seen it on our own). And she knew where to find the best banana bread and coconut ice cream along the way! We did a private tour, Awapuhi Adventures, so we were able to design our day just he way we wanted. I highly recommend it! How Rough and Difficult is the Hana Highway, Really? The roads are pretty rough and really curvy! 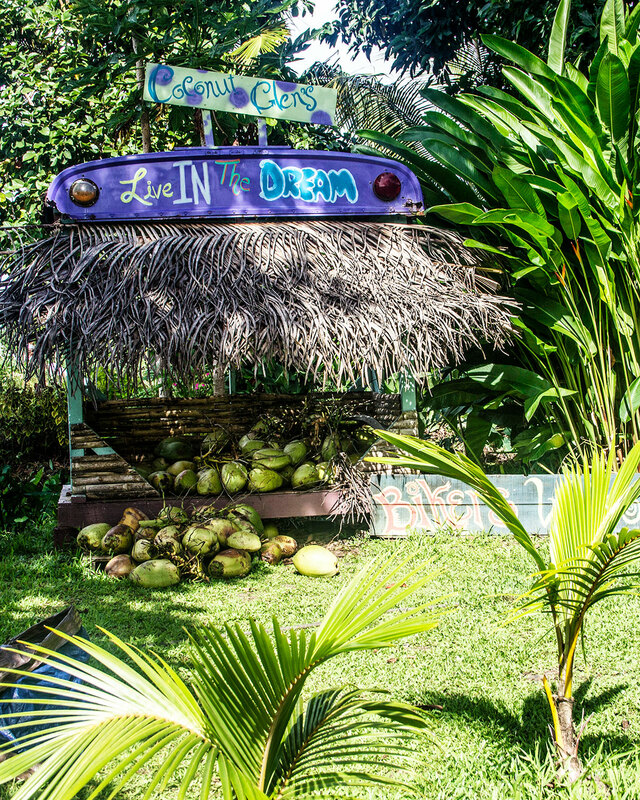 You’ll drive along the oceanside, through rainforest and stunning cliffs, over wooden bridges. It’s stunning and memorable and a little nerve-wracking! I don’t get motion sickness and I felt absolutely fine on the way to Hana. But I felt just a little bit queasy on the drive back (I think just because we didn’t make any stops on our return – frequent stops make all the difference!) Chris felt totally fine, but he was grateful to have a tour guide so he didn’t have to spend the day stressed out about navigating the roads That’s why I recommend a tour! What Are the Food Options on the Road to Hana? As I mentioned above, there are lots of farm stands selling fresh fruit, smoothies, sandwiches, and banana bread (plus ice cream!) So you’ll have options for snacks along the way. I do recommend packing a picnic for lunch and eating at one of the beaches. 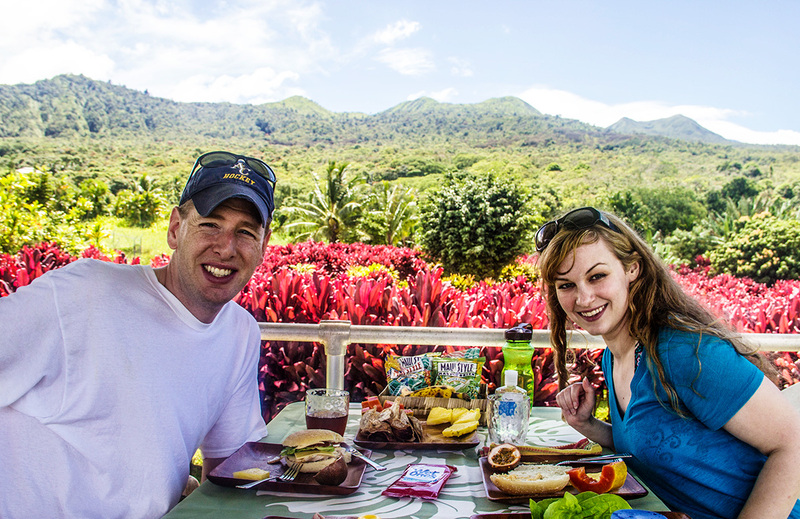 Or, do what we did, and have a picnic at the Botanical Garden at the Hana Lava Tubes. It’s a good mid-way point, and the views are so stunningly beautiful! 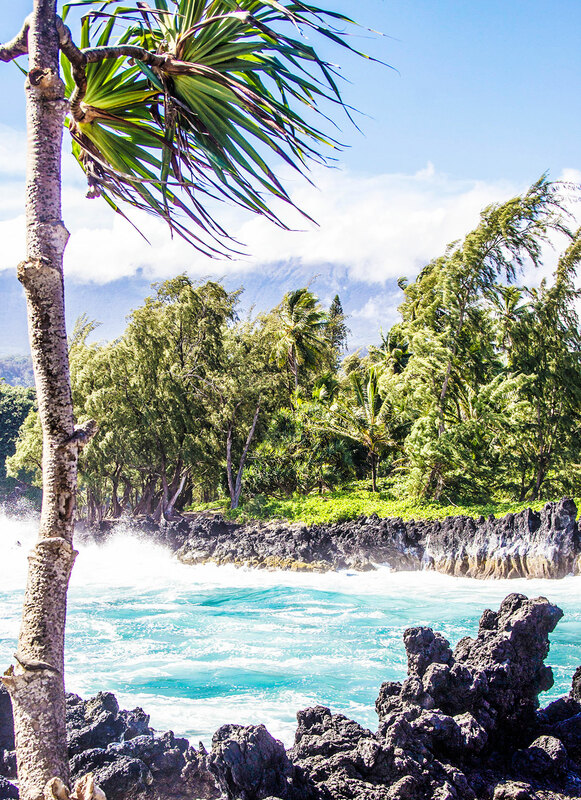 The Road to Hana Will Take Up a Full Day of My Trip to Maui: Is It Worth It? Yes! 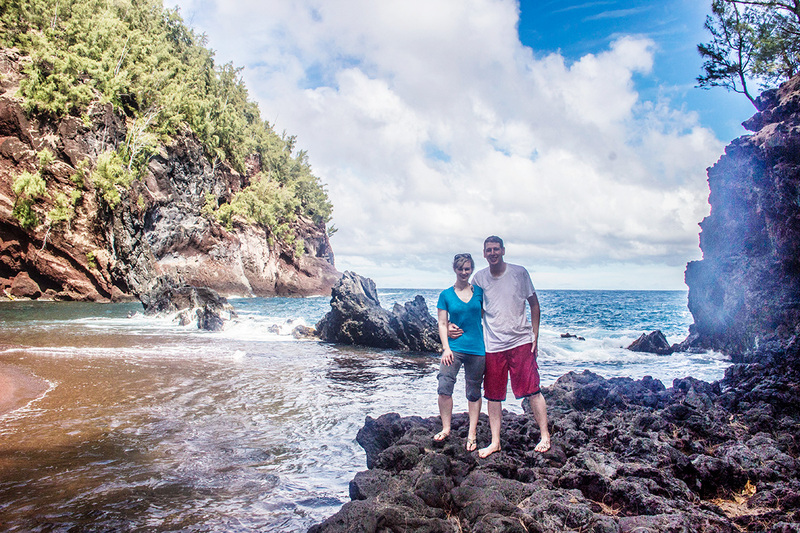 The Road to Hana was one of the most memorable days Chris and I spent in Hawaii. 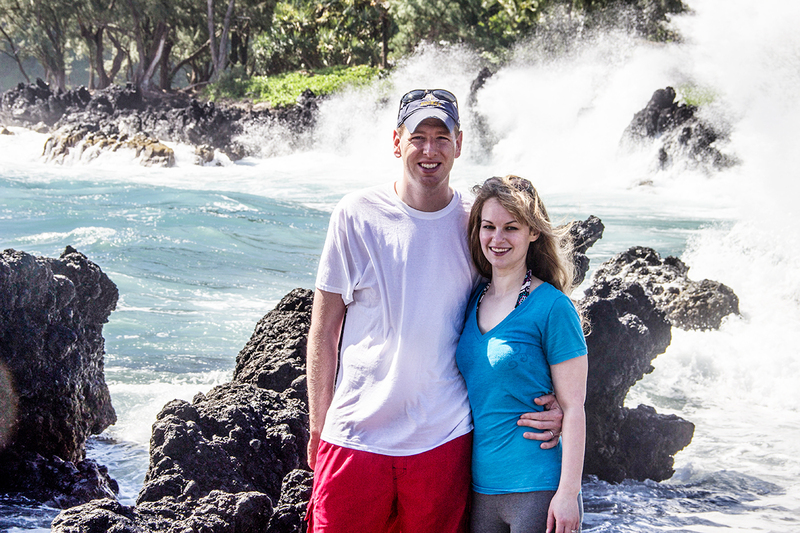 We really felt like we got to see all of the best of Maui, and the island is so varied and full of so many natural wonders. I’m glad we did it once. And, now that I have a son, I’d love to go back and do the Road to Hana again with Trevor!